The science of cooking has been excelling through recent years. One of the most important advancements was the invention of non-stick coatings on metal cookware that significantly reduced the amount of oil and fats required in the cooking process. There have been many types of non-stick coatings employed during the years and each had their pros and cons. We, at Best Kitchen Buy, discuss about Kitchen Appliances, their Reviews and Buying guides. How does a non-stick coating work? If you could magnify the surface of a metal pan, you would see that it has hundreds of microscopic nooks and pores. When subjected to heat, these micro-pores tend to enlarge in size allowing food particles to seep in and stick. To reduce the sticking tendency, one can use oil which fills the metal’s fissures and stop food from sticking. On the other hand, you can use cookware industrially coated with non-stick material like PTFE making the surface smooth and resulting in elimination of the minute pores. Further ahead, we shall look into each one of the above mentioned coatings and their properties. The invention of the non-stick Teflon coating was somewhat of an accident. One of Roy plunkett’s experiments in 1938 involved freezing and compressing tetrafluoroethylene, a colourless and odourless gas. As a result the gas turned into a white, waxy solid which was named as polytetrafluoroethylene. This wax like substance had an extremely low coefficient of friction which in simpler terms means it is super slippery. 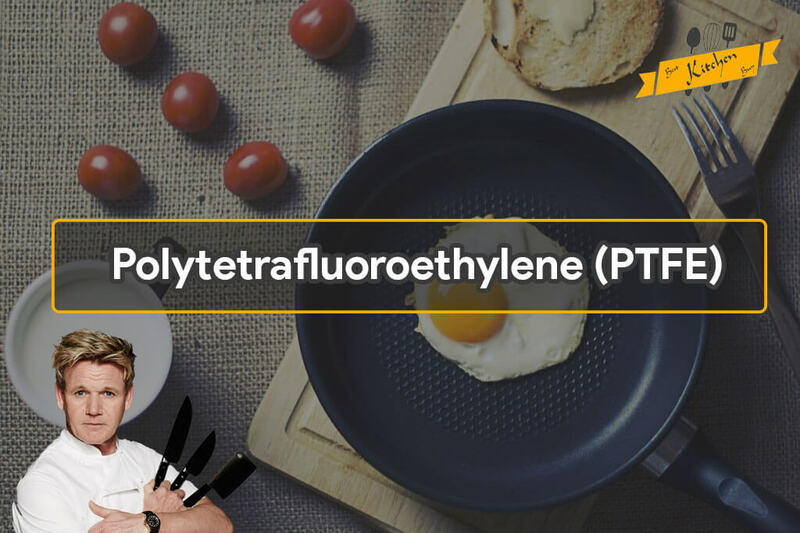 Later on PTFE was trademarked as Teflon. Only after 20 years, this material was introduced to cookware and from then onwards, Teflon remains an integral component of non-stick cookware. On the downside, PTFE offers some health hazards if not treated as recommended. It is proven that Teflon starts degrading when heated to temperatures above 500°F releasing fluorocarbons and other toxic fumes into the air. These fumes can cause temporary flu like symptoms in humans while it could be fatal to birds. The ceramic cookware coating maintains its prominence amongst other types of non stick pans owing to its nobility. Ceramic coatings are essentially made of hardened clay and are completely free from PTFE and other chemicals. Ceramic coated Non-stick cookwares have been recently introduced and are gaining attention due to their nobility in terms of chemical activity. Ceramics being a product of earth are inorganic in nature which makes them an environment friendly product. The initial inorganic liquid is turned into a Gel and then applied over the surface of anodized aluminium by spraying in layers. 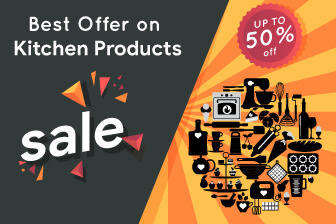 Check our complete write up on Are Ceramic cookwares safe? Owing to it’s inorganic nature, upon excess heating it does not exhibit leaching of any substance or chemical into the food or the environment. This noble tendency makes it the preferred choice in present times. The only alleged drawback of ceramic coatings is it’s comparatively lesser durability. 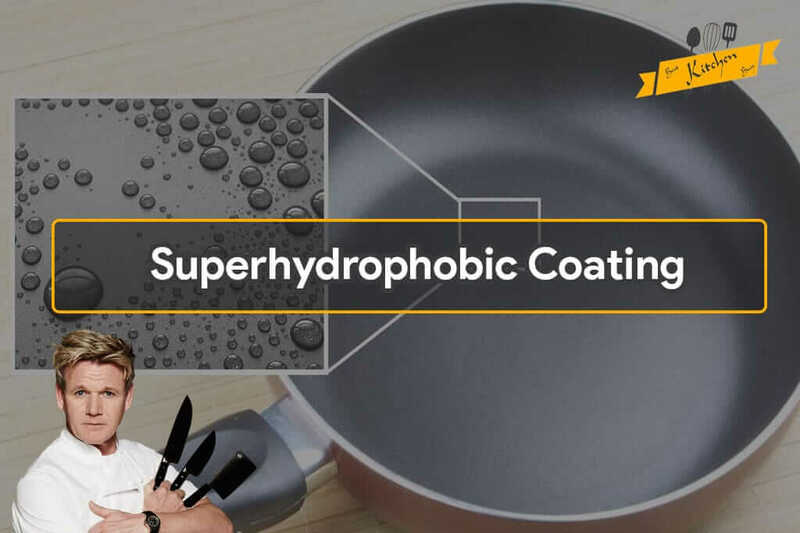 On persistent rigorous scrubbing, the ceramic coated cookware can lose it non-stick properties. All of the above compounds are gel-based and can easily be applied by either spraying or dipping the metal desired to be coated. Along with it’s use in the cookwares, these have also managed to find applications at other places as windshields of cars to prevent clinging of rainwater. Food safe hydrophobic coatings do satisfy the threshold safety requirements. Flexible bakeware is made from silicone rubber. Silicone is generally stable upto 300°C (572°F). Home ovens would not be used at temperatures this high. Silicone rubber does not react with food or beverages, or produce any hazardous fumes. It’s believed to have low toxicity and thermal stability. It’s also non-stick and easy to clean. It doesn’t change flavours or release odours that might affect food quality. At present times, silicone is a safer alternative to non-stick cookware treated with perfluorooctanoic acid. While traditional cast iron cookware is still an essential part of any kitchen, the majority of cooks and chefs prefer the enameled version. Enamel-coated cast iron is much easier to clean and there are no seasoning issues. 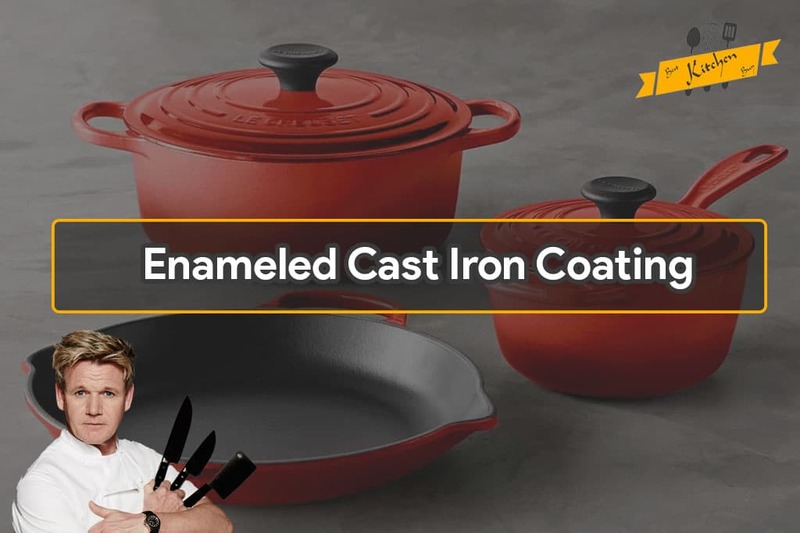 The inner coating provides non-stick properties and prevents iron leaching into your food. This cookware pieces come in a variety of vibrant colors to meet customer expectations and to match existing colors in kitchen design. Enamel-coated iron cookware is considered safe, according to the FDA’s Center for Food Safety and Applied Nutrition. So, there you have it folks. An unbiased description of the best materials marketed as non-stick coatings along with their properties. Happy cooking.